Do You Have To Pay Maternity Pay Back If You Don’t Go Back To Work? Going back to work after maternity leave is a difficult question to answer for most employees, especially if you’re sitting on the fence. Whether it’s something you’ve always planned for or a last minute gut decision, working mothers often ask if there are potential penalties or ramifications of not going back to work at the end of the maternity leave. Here, it is important to consider that unless there is a contractual obligation for you to go back to work once the maternity leave expires, your employer wouldn’t have much legal recourse. However, there can be certain instances in which, your employer may require you to return the health benefit premium or the maternity pay if you don’t go back. So, before you decide to send in your resignation letter, let us take a closer look at some aspects of employment law in the UK that allow employers to recover maternity pay and what loopholes there are. In the United Kingdom, some employers offer Contractual Maternity Pay, which is better than Statutory Maternity Pay (SMP). If you receive Contractual Maternity Pay and decide not to go back to work, you will only have to pay it back if this was specifically stated in your employment contract or the company maternity policy, or was agreed in advance. Also, it is important to not you would ONLY have to repay the extra-contractual pay and not the SMP part of your maternity pay, is these cases. Therefore, the answer to your question – whether you have to repay the maternity pay if you don’t go back to work – depends on whether you are offered Contractual Maternity Pay in addition to Statutory Maternity Pay only. Let us first look at being paid Statutory Maternity Pay only. Let us assume that you are eligible to receive SMP and are on maternity leave. If you resign now, during your maternity leave, this does not affect your SMP entitlement from your former employer. Also, there is no requirement for you to repay any statutory maternity pay if you decide to resign from your employment. If you are paid CMP, for example, if you receive full pay for the first 8 weeks of your maternity leave rather than the stipulated 90 percent, your employer may have specifically included what requirements you need to fulfill in order to receive your full earning as CMP. They may also specify whether you will need to return to work for a particular time period at the end of your maternity leave if you are to be entitled to CMP and the circumstances, if any, in which the CMP will be repayable. If you are not aware of any such policy or your employer has a separate contractual policy that sets out details in relation to the repayment of CMP, you should first contact your employer to ask on what basis they have such policy framework in place. Depending on whether there is a contractual obligation for you to repay CMP, you may have grounds to challenge your employer’s policy to recover Contractual Maternity Pay from you unless your return to work. Furthermore, it is important to understand that even if your employer does have a contractual right to recover Contractual Maternity Pay from you, they can legitimately recover only the pay you receive in addition of the Statutory Maternity Pay. As as this, your employer cannot force you to return to work even if you are contractually obligated to repay CMP. It is entirely your decision as to whether you wish to return to work at the end of your maternity leave. Furthermore, your employer may insist that you return to work once your maternity leave is over or ask for repayment of your maternity pay, on the grounds that you are “associated” with a child with a disability. Any such instance of discriminatory behaviour is considered as ‘unlawful’ under the Equality Act 2010. Your employer cannot discriminate against you because of your association with someone with a disability, in this case, for example, your child. However, this is an area of law, is quite complex. 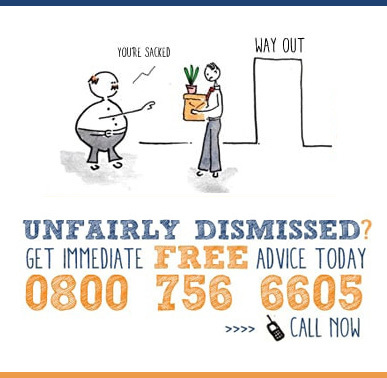 It is therefore advisable that you first try to resolve this matter informally with your employer without going for a disability discrimination claim. 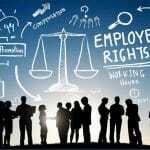 It is also helpful to seek legal advice from an experienced employment law solicitor in this regards.